The various subspecies of weka are in serious decline, but saving them is a bit of a balancing act as they are significant predators of other birds and so are not great candidates for moving to islands full of endangered species. 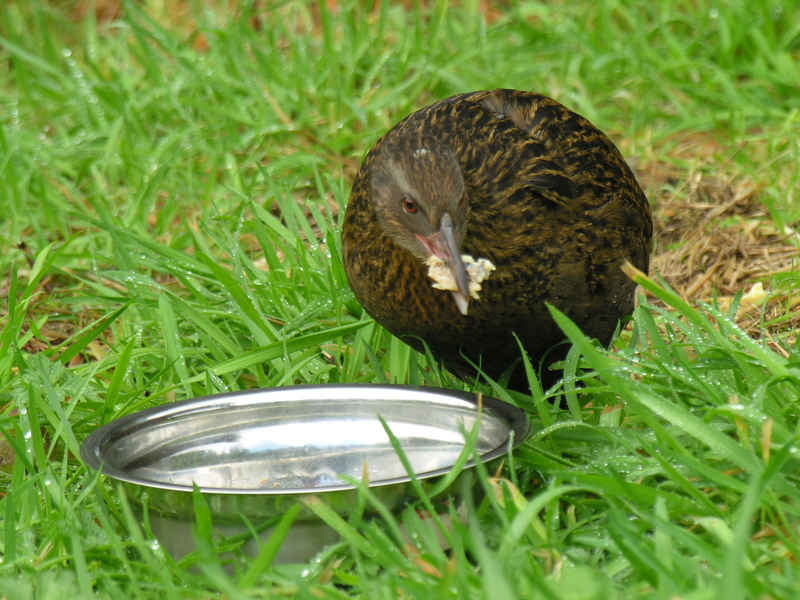 Western weka used to be present in Abel Tasman National Park, but have become almost extinct there. They used to be very popular with campers at Totaranui, despite (or because of) their curious nature and penchant for stealing things, and there was local support for a reintroduction from other populations of weka. 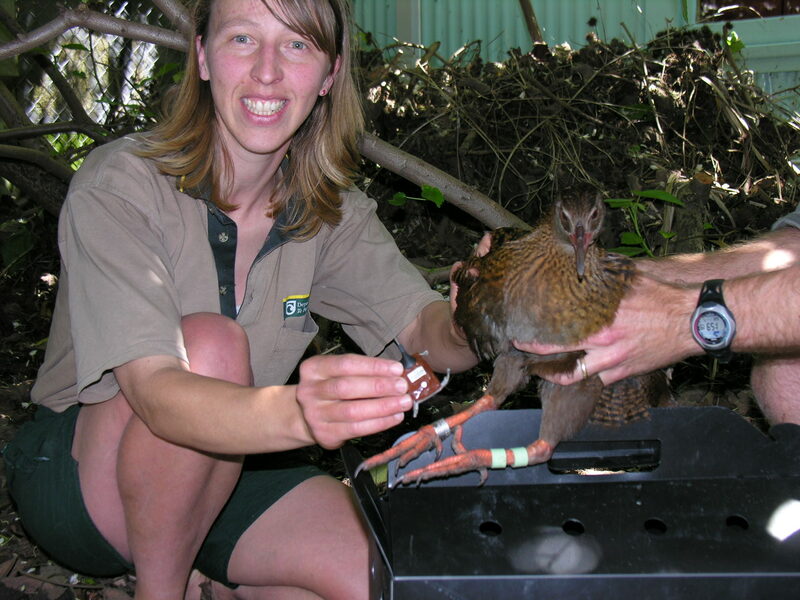 Western weka are in serious decline and a translocation makes conservation sense, and in this location, advocacy sense. 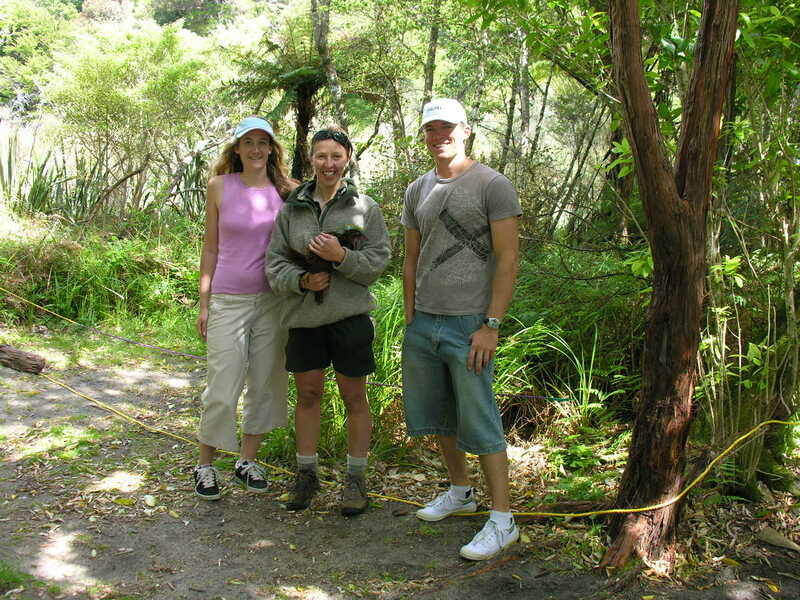 Mike Ogle from DOC organised the 2006 translocation of 19 weka and we provided part funding for temporary aviaries for “soft release”, and fitting of transmitters to the birds, so that they may be monitored after release. Spot predator control was also applied where the birds set up territories. Mike reports that most of the weka have stayed in the “correct” general area, and although a few have been lost to predation, there have been several pairs form, and some chicks produced. Perhaps another generation of campers at Totaranui will experience these rare birds up close. Part-funded by Fauna Recovery New Zealand ($4,900). Main photo courtesy and Copyright Steve Atwood.